This is a 1987 ad for a Arrow Fastener TR-550 Hot Melt Glue Gun and ETN-50 Electro-Matic Staple Gun! The size of the ad is approximately 8.5x11inches. 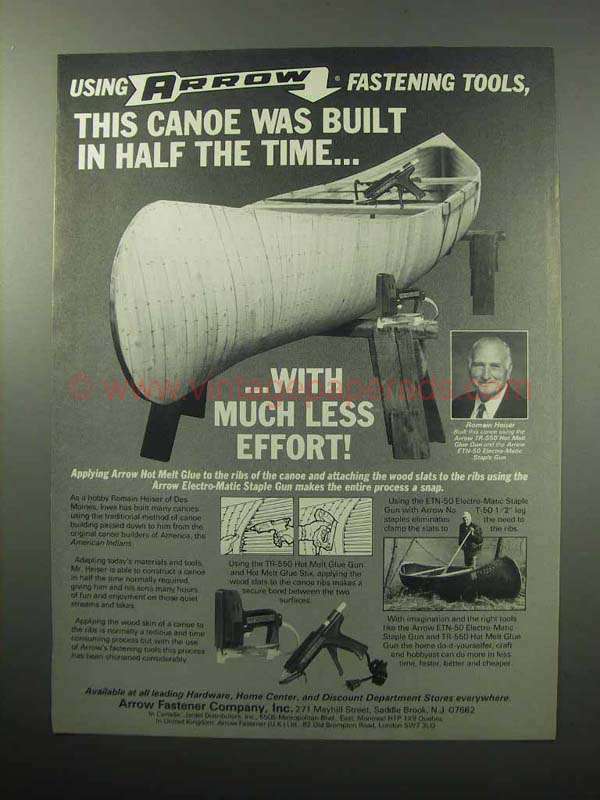 The caption for this ad is 'Using Arrow fastening tools, this canoe was built in half the time.. With much less effort' The ad is in great condition. This vintage ad would look great framed and displayed! Add it to your collection today!